The Ryōgin-an is famous for its three gardens designed by the modern Japanese garden designer Shigemori Mirei in 1964. In contrast to the gardens, the temple and its buildings are really old. At first, it was the residence of the 3rd head priest of Tōfuku-ji, who also founded the famous temple complex Nanzen-ji. After his death in 1291, his quarters were converted into a temple in the late 14th century. Take the Nara line from Kyoto station towards Nara. 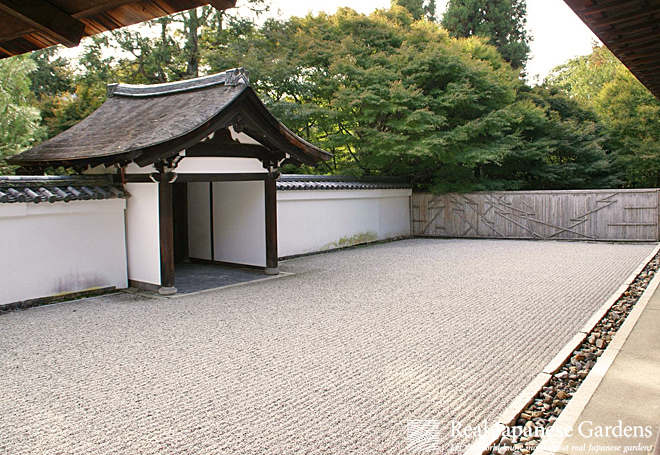 Get off at the first stop, Tōfuku-ji, and walk in southern direction until you get to Tōfuku-ji. May 29 2013 - Moss is another fascinating plant that has been a central element of the Japanese garden for centuries. It can keep water up to 20-30 times of its own weight. Discover more moss and how to build a moss garden with this e-book. Feb 21 2013 - The quiet Zen garden of Erin-ji temple in Yamanashi-Ken.